Wedding invitations are an integral part of a wedding's theme and the "mood" you want to set for your ceremony. After all, if the purpose were to solely inform the guests of the details of the event, then you could just send an email or postcard. However, the invitation also serves as a souvenir of a special occasion, and an announcement of a couple's love. Like the wedding ceremony itself, it must be beautiful and personal. * Formal or casual. You want a wedding invitation to complement the overall theme and mood of the wedding. Is your wedding formal or casual? A formal wedding may need classic script fonts, formal wording, and the traditional double envelope. A more casual invitation may use more modern fonts and more natural wording (i.e., instead of "we cordially invite you", say "please join us…"), but care must be taken to retain the solemnity of the occasion. Let's say you want to enclose a photo of you and your fiance—not typically done for traditional invitations. Wear appropriate clothes to the photo shoot: shorts and tank tops simply don't work. * Color. You should always choose a subdued color. If you are using a rather bright color for your motif, like turquoise, opt for a delicate ribbon trim or small accents at the sides or corners rather than applying it to the whole invitation. This makes the invitation look more classy, and again, is in keeping with the nature of the event. It's a wedding, not a night dancing at a trendy club. * Personal Touches. You can add a short poem, a photo of the couple, or a song lyric from the wedding ceremony. * It is not necessary to put the entourage in the invitation. However, you can have a separate piece of paper listing the members that can be inserted in select invitations—specifically those that go to the entourage themselves, and to the more immediate family and friends. They would appreciate the souvenir; plus, it is a way of thanking them for their participation. * You'd never forget to put the date and the venue, but many couples forget to put a map to the church and/.or reception area. A map would be very helpful, and would save many guests any inconvenience especially if the wedding is located in a place they are unfamiliar with. * If you are trying to control the number of guests, insert a small card that says, "We have reserved __ seats for you." This is a subtle and polite way of minimizing the headcount. 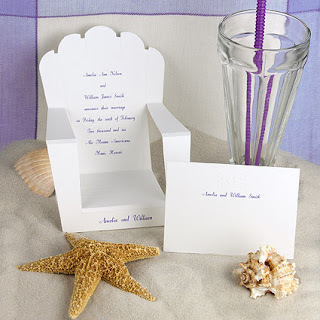 * If you are moving to a new home after the wedding, you can include another small insert announcing your new address.